Steamology is a young Los Angeles-based company. The mission of Steamology is to bring the healing traditions of Northern Europe steam rooms to the Western culture. The primary facilities include two steam rooms, a hot tub and a tea lounge. With this in mind, the branding reflects the modern Scandinavian character of the project. 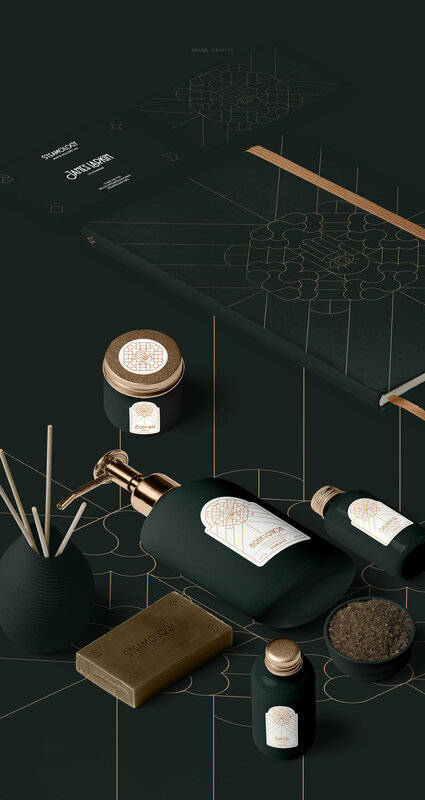 Further development of the project will include building several new steam rooms in San Francisco, the opening of a training school for spa therapist and its own line of toiletries.